Well, March 26th has come and gone! On that day, we had our 2nd Annual Bloomin’ Uterus Endometriosis Awareness & Support Walk in San Diego. If you’d like to read about our first walk in 2015, click here. 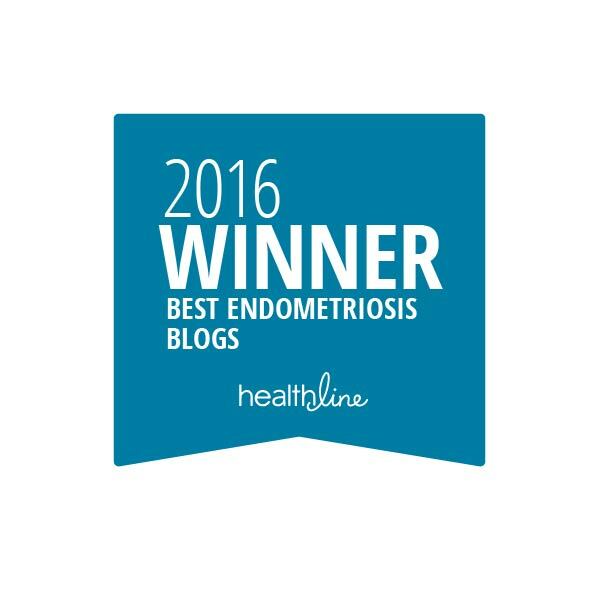 Reading this and wondering exactly what Endometriosis is? Read all about it by clicking here. This year we had nearly 50 walkers (47 to be precise)! And of that, 17 of us suffer from Endometriosis. The numbers were amazing (more than half of those who registered were able to attend)! And we made quite the yellow wave walking around Lake Miramar!! Not only did I have the pleasure of meeting so many new EndoSisters and their loved ones…and watching them meet each other, but we had the honor of telling people about Endometriosis! Some of our attendees even traveled from Riverside (100 miles), Redlands (110 miles), Lake Elsinore (75 miles), Escondido (30 miles), Bakersfield (231 miles), and Taft (238 miles)! And my Mum made the drive from Tombstone, AZ (478 miles), to walk with us. Thank you guys! I know it was quite a hump for just a walk…but it meant so much to me. And I know it meant so much to you. On multiple occasions as we walked around the lake, I was stopped and asked, “What’s with all the yellow?” or “What are you guys walking for?” And we’d have the opportunity to talk about Endometriosis, what it is, and what we were out doing. After our walk, several of our walkers said it happened to them, too! *yay* Support and awareness!!! A five mile walk…a few hours together…footin’ it around a gorgeous lake. I cannot express what a beautiful day it was…not only were we blessed with beautiful sunny skies, but I mean emotionally beautiful. I may be sore now, but every step, every blister, every aching muscle was worth it. And it was perfect. And I am so proud of everyone who walked, as I know that you’re proud you made the trek, too. A beautiful collage by Mirna Montalvo! Knowing you’re not alone, and showing other EndoSisters that they’re not alone…that’s what the day was all about. And thanking our families, friends, and loved ones for their support; so important! We could not continue our days without you. Others have expressed the same sentiment : for many, it was their first Endo event. And many were touched by our numbers, by hugging women and talking to them about their experiences. Talking with someone who knows precisely what they’re going through. Truly understanding that they are not alone. As of today (March 29, 2015), we raised $2,037.35 for the Endometriosis Foundation of America! That’s over $1,000 over our goal! Thank you everyone who donated! For transparency’s sake : $1,966.00 (gofundme.com donations, button sales, skully sales), $28.00 (goodsearch.com/goodshop.com), and $43.35 from Bloomin’ Uterus t-shirt sales (teespring.com), totaling $2,037.35 sent directly to the Endometriosis Foundation of America! And that’s not counting the $111 raised by the San Diego Sisters of Perpetual Indulgence! Thank you, Sisters (they also had several members walk with us). Such joy! I also have a lot of miles to still walk…haaaha. I pledged to walk one mile for every $10 donated. I’ve got another 156 miles to walk and I will! 2017 plans are already underway! If you’re interested in joining us, save the date : March 25, 2017. I do believe if we’re as big, or bigger, for 2017 we’ve outgrown the parking lot at Lake Miramar and I’m already talking to other parks and venues. Stay tuned for more info! I’ve also update our Gofundme campaign goal to $5,000. Let’s see if we can raise at least $1,280 for 2017! If you’re in the San Diego area, we meet once a month or so for our support group. You can find more info by clicking here. And if you’re interested in starting support groups or even a walk in YOUR area, know that YOU CAN! Want to know how? Get in touch with me 😉 I’d be happy to point you in a direction. Together, we can do great things! All photographs used with permission. If you’d like to see all of the pictures by Richard Reyes, click here.